People say beauty lies in eyes of beholder and I say beauty is realizing you are the beholder. Beauty brings confidence and vivel promises you beautiful skin with there new range of products. 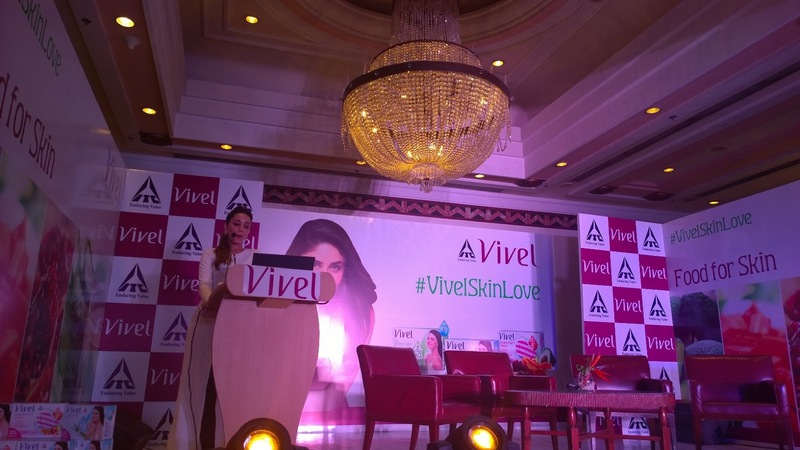 Yesterday, Vivel organised a session "Skin love with kareena". Here Actress Kareena Kapoor answered questions related to skin and beauty. 1: What is your daily skin routine? Kareena says: I wash my face three to four times a day. I eat healthy diet apply moisturizer and keep my skin hydrated. I drink a lot of water and avoid oily food. 2: Which is your favorite fruit? Kareena says: I am not a fruit person and don't like eating fruit much. But yes at times I take orange as it has antioxidants and is rich in vitamin C so it is good for skin. Kareena says: There is no one beauty tip but yes I swear by Almond oil. Almond oil is one thing which if ever I experience any problem in my skin I just use it and magic is done. Kareena says: I wash my face at night before going to sleep. And just apply little bit of Almond oil on my skin dry areas. At the event Vivel team tested my skin moisture level which came out to be 57. After applying the ingredients present in vivel soap on my skin I re checked my skin moisture level. And that got increased to 96. After the demonstration the products look very promising to me and I look forward to using them. I am excited to try Vivel Aloe Vera soap as it has Vitamin E extracts. I have used Vivel Skin renew previously and reviewed here. Will share with you the details of there entire range on blog soon. Nourishment as a core thought is echoed in every aspect of the portfolio for a holistic experience. The assortment of soaps includes 4 variants that are ideal food for skin. 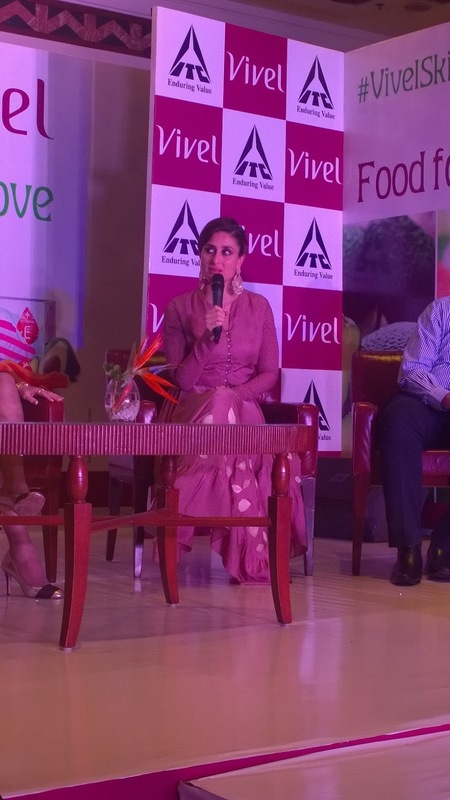 Vivel with Green Tea and Vitamin E is a unique offering and a first in the Indian Soap industry. Vivel soap with Green Tea nourishes skin from deep inside and prevents accumulation of skin impurities. Vivel Aloe Vera with Vitamin E deep nourishes to give satin soft skin. Vivel Mixed fruit + Cream is a double delight as it is a unique 2-in-1 soap enriched with mixed fruits – Pomegranate, Avocado and Papaya- Cream and Vitamin E. Not only it nourishes skin, but also endows it with a youthful glow. The Design language of the new soaps provides sensorial experiences with the shape and feel. The cocoon like shape with soft, fluid and pleat like contours depicts nurturing care and warmth. In a manufacturing innovation, Vivel introduces India’s first soap that visually depicts dual skin benefits. DUCOX (Dual Core Extrusion Technology) makes Vivel Mixed Fruit a fascinating visual manifestation of the dual-skin nourishment delivered by the soaps. Great interview Manasi! You are welcome to add your fashion and beauty links on my blog!